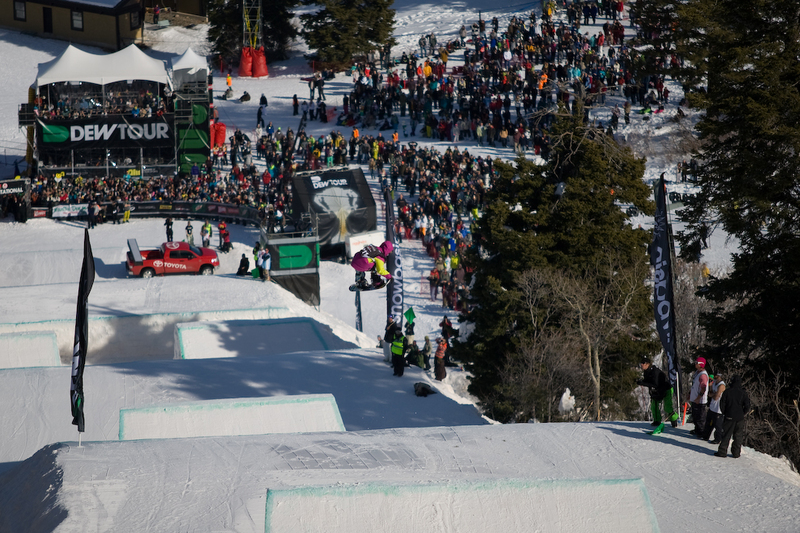 By: Swellbow – The residents of "The Greatest Snow on Earth" came out in force to see Snowboarders put on "The Greatest Show on Earth". 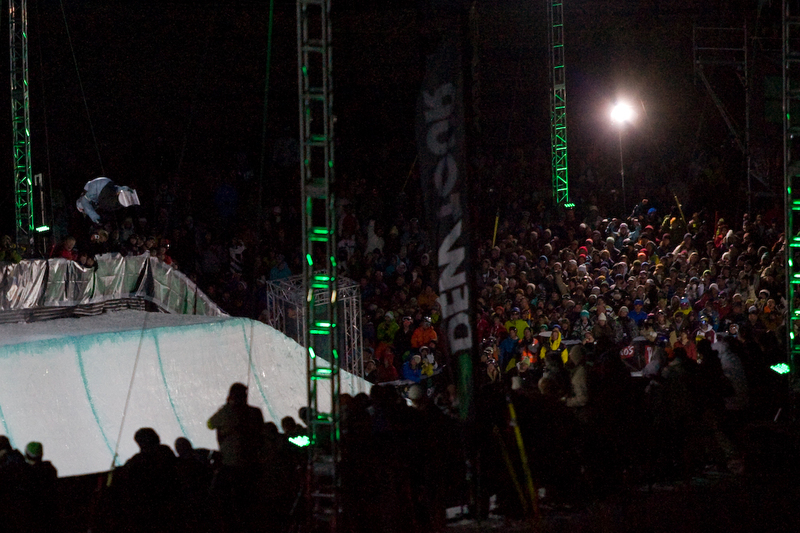 More than 14,000 people jammed the bottom and the sides of the Superpipe to see, cheer and scream as the top snowboarding athletes of the Winter Dew Tour put on a amazing spectacle under the lights. 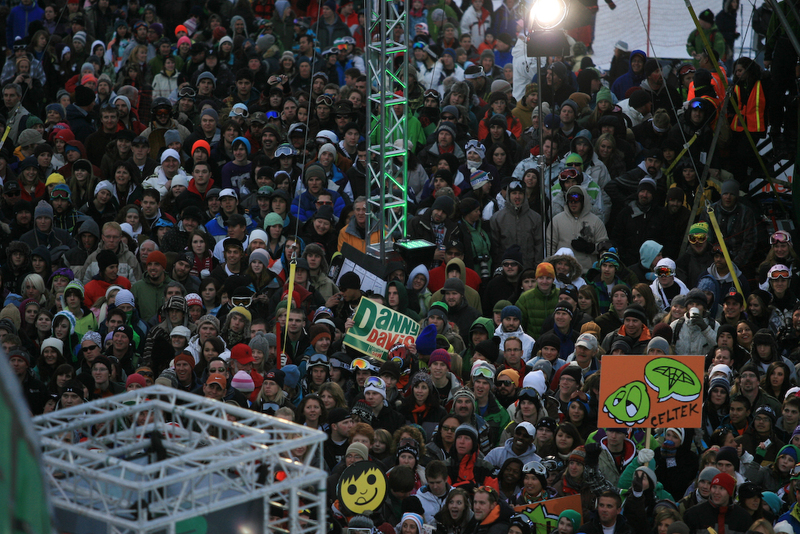 To say it was standing room only would have been an understatement. 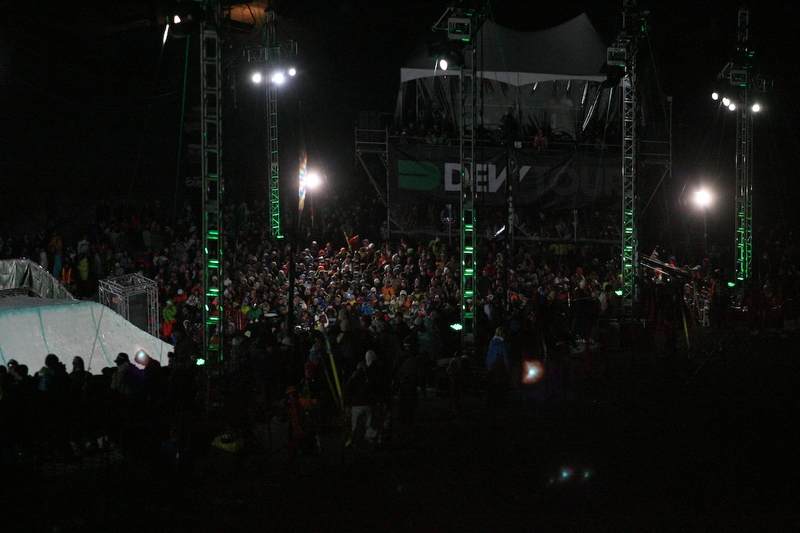 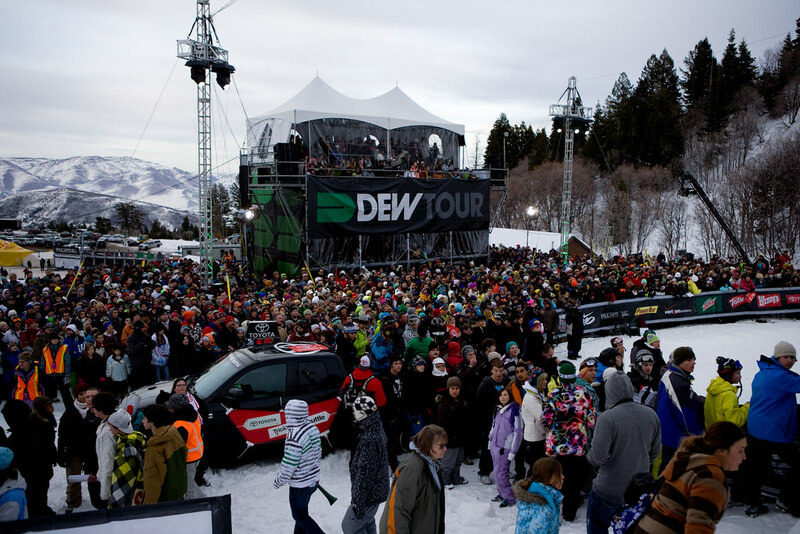 The massive swarm of spectators had Dew Tour staff, riders and the Snowbasin team grinning from ear to ear. 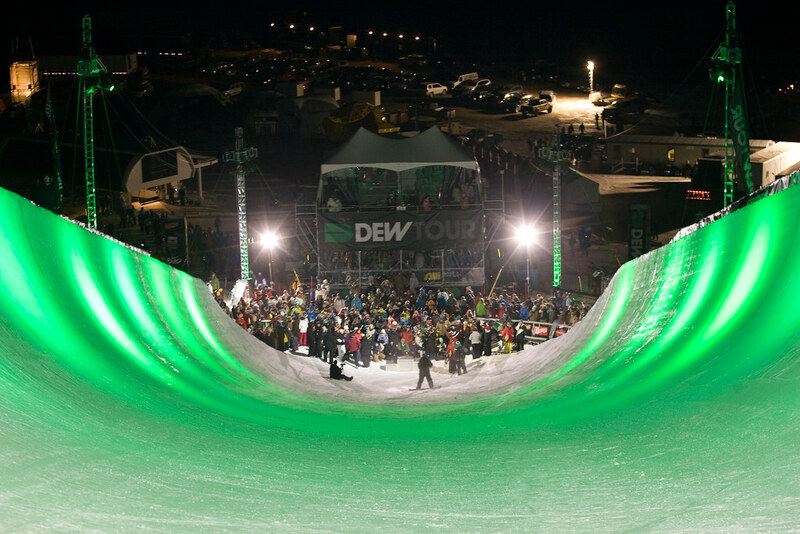 The Dew Tour has found a new home for sure. 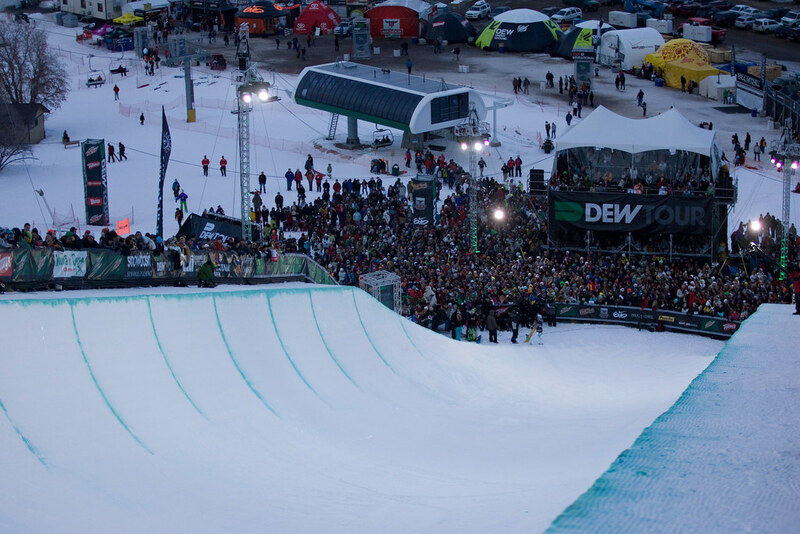 The people of Utah, especially Ogden, and the entire Snowbasin organization have made this stop on the Dew Tour arguably the best ever. 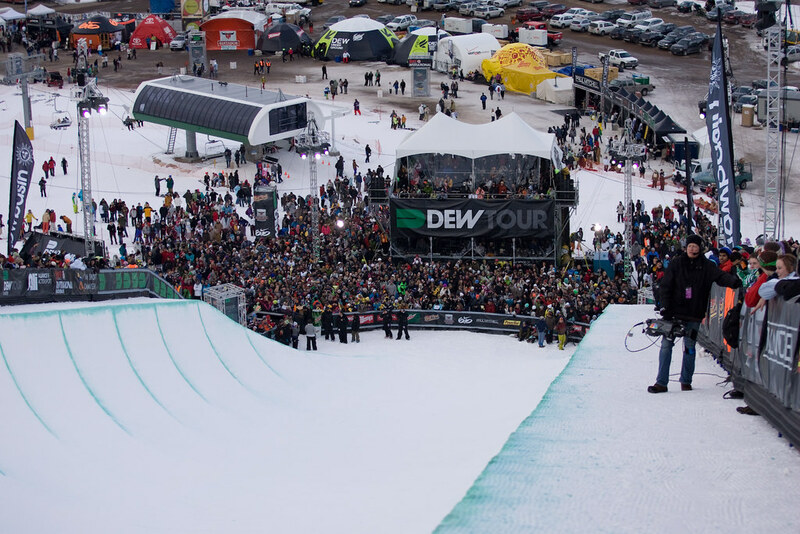 Record Crowd for Winter Dew Tour from AlliSports on Vimeo.